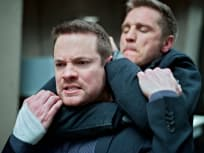 Amanda has Nikita drugged and subjects her to the mental conditioning process while Sean and Birkhoff set out to rescue the women they love on Nikita. Alex decides to leave Division while Owen uncovers his past with Amanda's help on Nikita. A prosthetic hand could bring Michael back to his former self but the price may be too high on Nikita. Alex and Nikita disagree over a plan to kill the president of Chad and a secret threatens to destroy Division on Nikita. 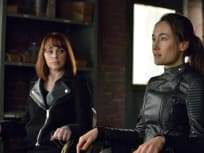 Nikita and Amanda must figure out how to work together in order to escape and when Michael assigns Alex to be Nikita's back-up, Owen is furious on Nikita. 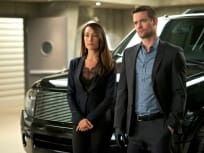 Nikita works to free Sean when he's framed for killing the director of the CIA but her plan just might get him killed on Nikita. Michael runs Operations while Nikita heads to Kosovo on a mission that may have surprising consequences for Division on Nikita. 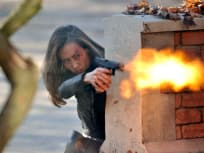 On Nikita, Ryan sends out a team when a rogue agent kidnaps his girlfriend and Nikita wonders why Michael sends Owen out into the field with her instead of coming himself.